A New Jersey couple had been married for 18 years when the husband filed for divorce. In his petition for divorce, the husband initially sought sole legal and physical (residential) custody, child support, and equitable distribution of the couple’s marital assets. A copy of the petition was served on the wife, but she failed to answer the complaint. The court therefore granted a default judgment in favor of the husband. Later, the husband served a notice on the wife that he was no longer seeking equitable distribution of the marital property. 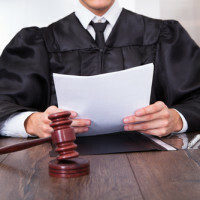 Instead, he wanted to continue an earlier family court order granting joint custody to the couple with residential custody to the husband and terminating his support obligation to the wife. This notice was not challenged by the wife, and the court entered a final judgment of divorce (JOD) accordingly. Seven years later, the wife showed up in court making a motion to modify the JOD and seeking an equitable distribution of the husband’s union pension and annuity retirement accounts. She claimed that the husband had made an oral promise to her to split the funds and also claimed that the husband had perpetrated a fraud on the court by not disclosing the pension and retirement accounts as marital assets. At the hearing, the judge denied the motion as time-barred under Rules 4:50-1 and 2. Rule 4:50-1 allows a court to relieve a party from a final judgment in the case of mistake, excusable neglect, newly discovered evidence, fraud or other reasons. But 4:50-2 requires that such a motion be made within a reasonable time, which at the latest can be one year after the judgment. Basically, the wife had waived her right by not raising the issue at the default hearing or soon after the JOD was entered. The wife had notice of the hearing and the JOD, but simply chose not to raise the issue at that time. On appeal, the wife argued that the trial court erred in not deciding the motion under Rule 4:50-3, claiming fraud by the husband in not disclosing pension and retirement accounts as marital assets. Under Rule 4:50-3, any motion made under Rule 4:50 does not limit the power of a court to set aside a judgment for fraud on the court, and there is no time limit on when the matter can be raised when fraud is the issue. However, the party is required to establish fraud by clear and convincing evidence, which is a high standard, and the court held the wife failed to do so here. Since the husband was not seeking equitable distribution at the time, he was not required to list his assets or disclose the pension and retirement accounts. Also, since the wife waited so long to raise the issue, the court decided it would be inequitable and unfair to the husband to rule in her favor. The case is Morales v. Morales. It was decided by the Superior Court of New Jersey, Appellate Division, on January 26, 2015.